Gov. 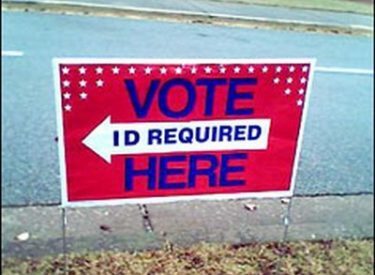 Brownback To Sign Bill Requiring Voter I.D. Kansas Gov. Sam Brownback is preparing to sign a bill requiring the state’s voters to show photo identification at the polls, starting next year. Brownback scheduled a Monday afternoon signing ceremony at the Statehouse. He’s expected to be joined by Secretary of State Kris Kobach (KOH’-bahk), a fellow Republican who pushed for the legislation. The measure also requires that, starting in 2013, people who register to vote for the first time in Kansas provide a birth certificate, passport or other proof of citizenship to election officials. Kobach contends the changes will combat election fraud. But his critics say Kansas has little fraud and suggest the changes will suppress voter turnout and reduce the number of people registered – which he denies.